Bring out the true diva in you with this maroon lehenga choli. This banglori silk outfit is beautifully decorated with heavy embroidered work done in the form of floral design and finished with golden lace border work. Paired with beige soft net dupatta to complete the attire's beauty. 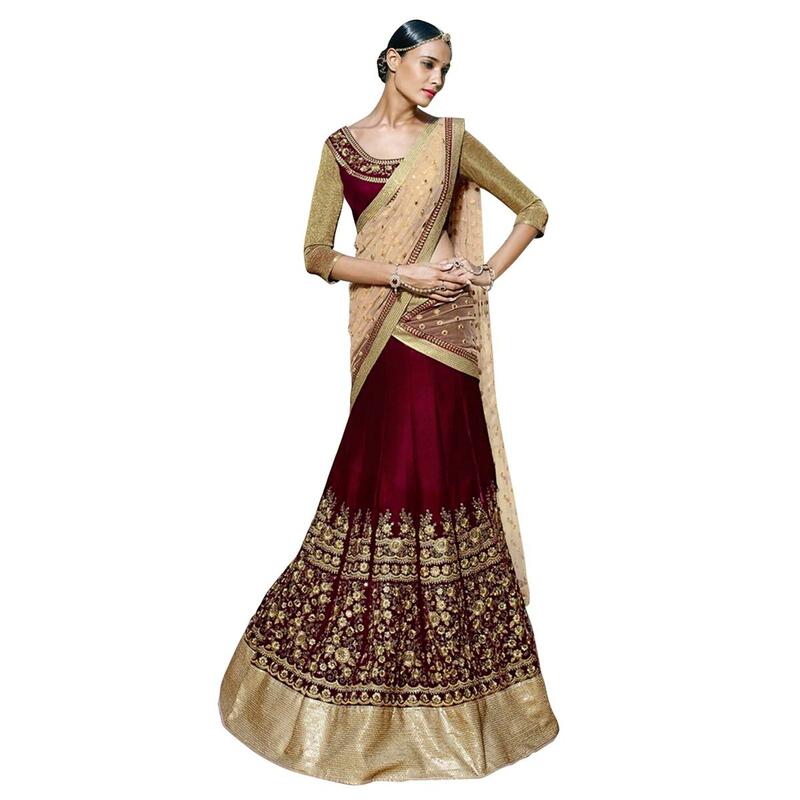 Ideal for traditional functions festivals & special occasions.